It doesn’t matter whether you’re a professional or a beginner, practice makes perfect. Our Concealed LockPicks Set is a great way to learn and hone your lock picking skills. 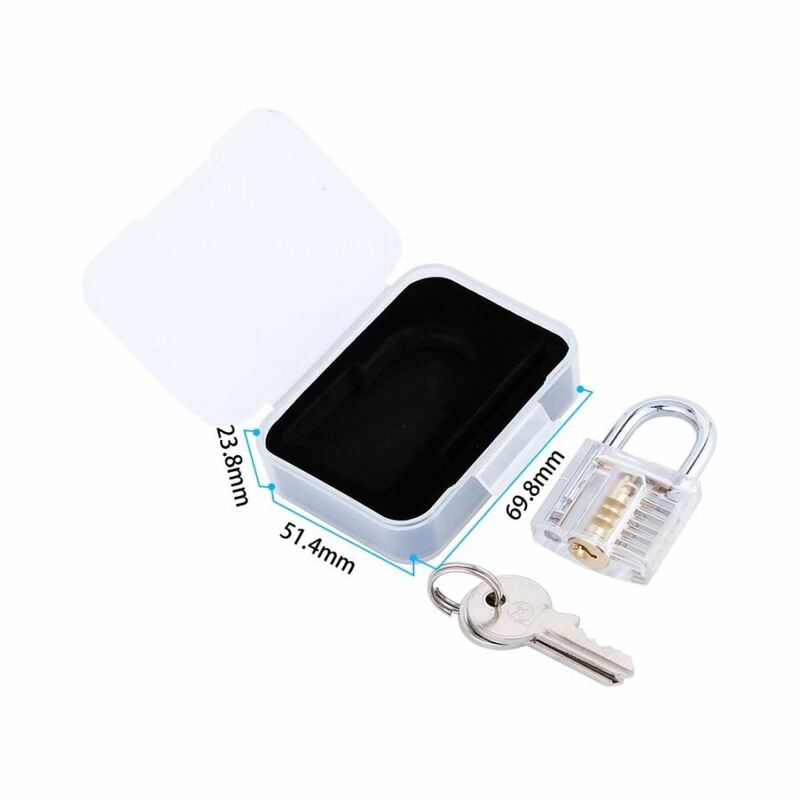 The kit comes with a clear plastic practice padlock that allows you to see all of its inner working. 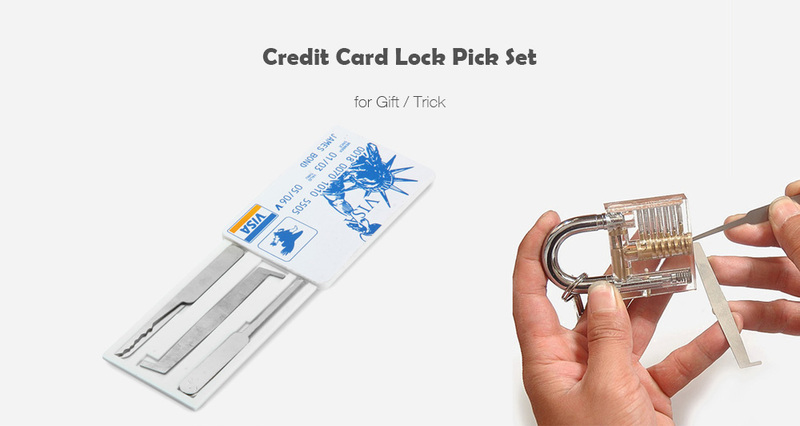 The kit also includes a full-sized lock pick set hidden inside what appears to be a credit card, and a set of two master keys are also included. The backside of the card slides off to reveal high-quality, solid stamped stainless steel individual picks plus a double-sided tension tool. The Lock is made of High Quality Acrylic - Completely transparent allowing visual access to the pins, tumbler & locking mechanism, Making the art of LockPicking SO MUCH MORE FUN AND EASIER TO LEARN & MASTER.